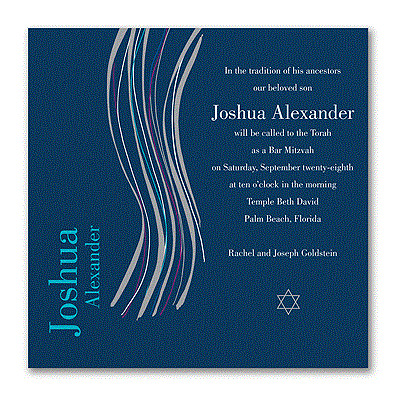 Order custom printed Bar and Bat Mitzvah Invitations. Large selection with your personal wording and selections of lettering styles and ink color. Plain mailing envelopes included. Discount at check out on most Bar Mitzvah party invitations. Shipping to all US states including Massachusetts, New York and New Jersey.